Take one pan heat ghee. Add cumin seeds, curry leaves, hing Green chilly and mix well. 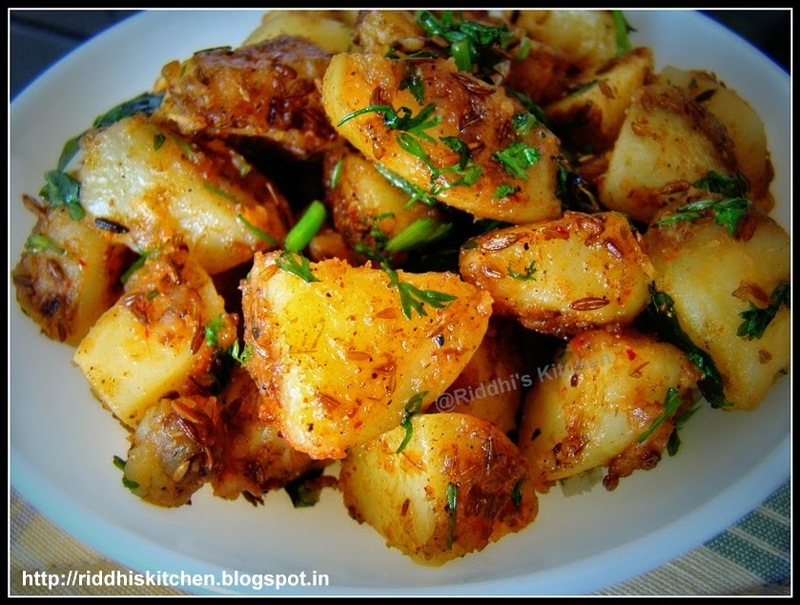 Add Potatoes, salt, amchur powder, pepper powder, cumin powder, red chilly powder, turmeric powder, mix well. Saute for 2 to 3 minutes. Garnish with coriander leaves and serve hot with puri / paratha / roti .